This bunny Muslin set is just the ticket for parent and tot. 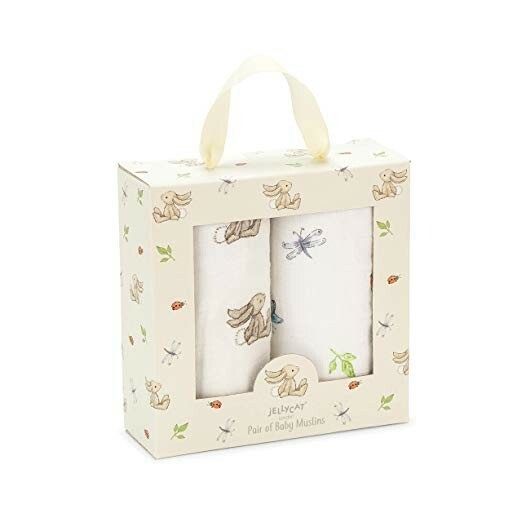 Boxed and printed with playful bunnies, these cute cotton blankets are great for all-round care. (Contains 2 x muslins. Approx size: 70cm x 70cm) SAFETY & CARE Tested against and passed ASTM requirements. Suitable from birth. Made from 100% cotton. 30 degree Celsius wash only; do not tumble dry, dry clean or iron.